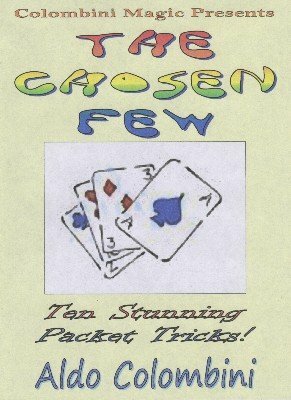 Ten stunning packet tricks. All these routines are performed with regular cards. A SWITCH IN TIME (Roy Walton): Four red cards and four black cards are switched but always the two packets remain in their original colors. HOF-PACKET (Aldo Colombini): The Hofzinser theme using just the four Kings (or Aces) and a selected card. TRANSMENTAL (Steve Pressley): A thought-of card disappears from a packet and reappears between two cards. OIL, WATER & GUTS (Aldo Colombini): Four red cards are mixed with four black but the colors separate. The procedure is repeated, then they mix and at the end all the cards are black. FACT OR FICTION (Peter Duffie): Using a packet of cards as a Lie Detector, you find out if the spectator lies or tells the truth, meanwhile revealing a selected card. ACES AND JACKS (Stewart Judah): Three Jacks change places with three Aces. TRANSPOSED ACES (Nick Trost): Four blue-backed Aces and four red-backed Aces. Any Ace named transposes with its matching Ace in the other packet. The effect is then repeated with another two Aces. IMPACT (Roy Walton): Four Aces are inserted into four envelopes with a hole. The envelope containing the spectators’ favorite Ace turns over and then the Ace turns over INSIDE the envelope. UTTERLY WILD 2 (Didier Dupré): Red cards change into black picture cards in a beautiful sequence of moves. The Wild Card at its best. MORE AMAZEMENT (Luis Gavilondo): You show four Aces of Hearts with red backs. They change into four Kings of Spades with blue backs. You can repeat this over and over again.